This is a brand new in the box NEW LW Scientific 2.5x - 3.5x Premium Variable Ultra-Light Flip-Up Loupes model # LPM-P35V-4407. See what next-generation innovation is all about with our new light weight 2.5 oz. frame coupled with our signature Flip-Up Loupes! Experience the finest surgical-quality loupes available at manufacturer-direct prices. LW Scientific sets the standard for innovative optical design, combining superior quality with unmatched customer support. Delivering optimum performance with maximum comfort, LW Scientific loupes are the clear choice for medical professionals worldwide. 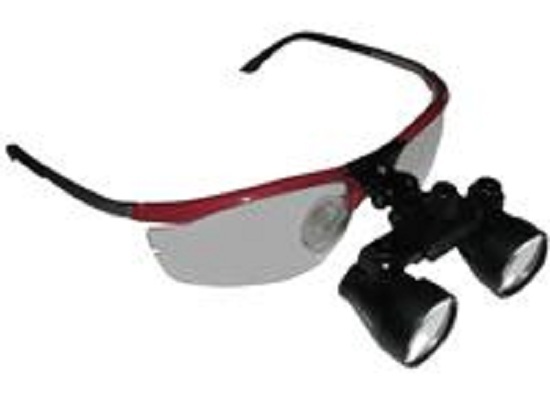 Make both a professional and a fashion statement by wearing these loupes. .
available on all items and we ship multiple items together to save our customers money. Paypal as forms of payment. you again for your business. to get an accurate quote for the more expensive trackable method. addresses, and any other United States Territories. a 7-10 days until your item leaves our international warehouse in route to your location.